You deserve an Adult Night Out! What could be better than Friends, Clay, and Pottery Wheel?! Get your creative juices going and learn something new. You will learn basic throwing techniques or you can move on to something more advanced (no experience necessary). Then, come in at your leisure to glaze your finished masterpiece! (glazing comes with full instructions) Laughter and fun are included in this class! $110. per person. Bring a beverage of your choice and a snack to share. Call us for more information (860) 354-4318. Registration confirms your spot. 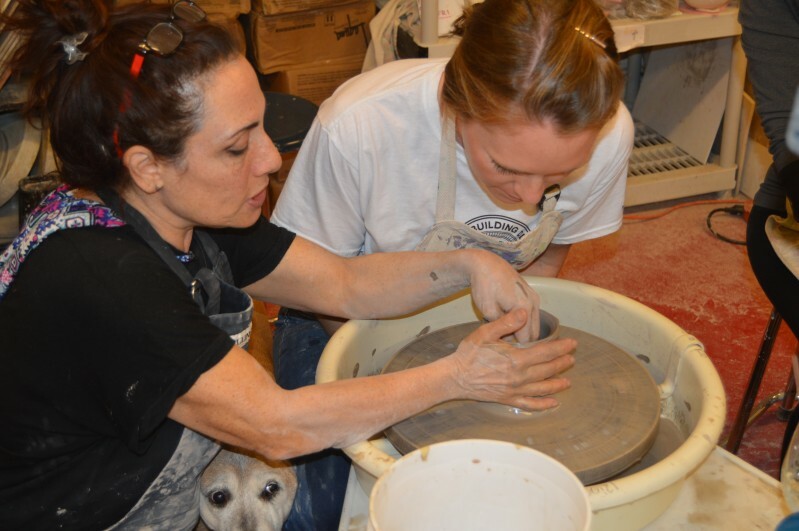 Our Pottery Studio is Handicap Accessible and located at 1 Church Street, New Milford, CT.